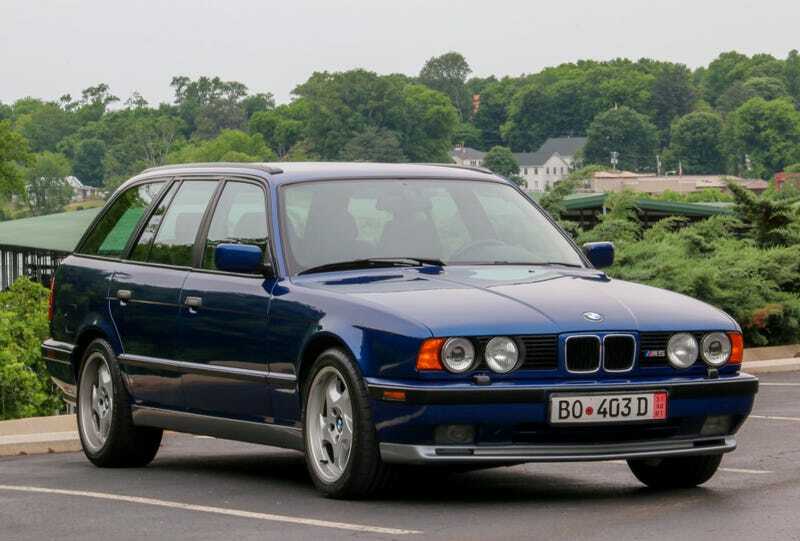 Since this is Jalopnik, It’s safe to say that a good number of you would appreciate a classic BMW ///M car with a bit more practicality. Our friends at Bring A Trailer are listing this wonderful ‘93 M5 Touring with a starting bid of only $15,000. Largely hand built on October 23rd, 1992 and sold new in Germany shortly afterward, the seller says it is in excellent running and driving condition. The car is sold with a BMW Classic Certificate verifying authenticity, engine number, delivery date, and listing many rare factory options including the Nurburgring Package, buffalo leather interior, sunroof delete and Avus Blue paint.